With twenty-five years of established business, this multi-faceted center of activity and relaxation is on sale at a startlingly low price. From a boutique hotel to microbrewery to skate park to 12-acre organic farm to green energy education center, this property has something for anyone and everyone. Thanks to phenomenal views of Lake Arenal, the 21-room hotel boasts some of the most stunning vistas in the area. It’s gorgeous design is punctuated with dramatic red-ochre pillars and colorful walls adorned with hand-painted frescos. The property is nestled among hundreds of acres of Costa Rica’s protected jungle and is teeming with wildlife, including toucans, parrots, howler monkeys, sloths, armadillos and extraordinarily rare wild cats such as the elusive Puma Jaguarondi. 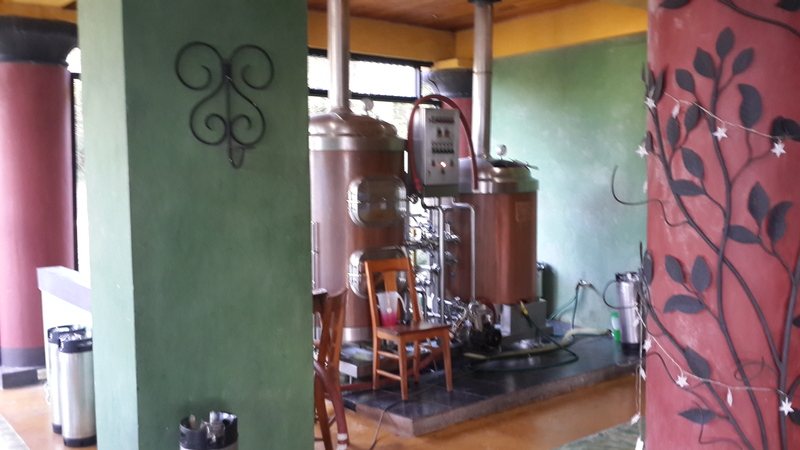 This hotel is home to Costa Rica’s first microbrewery and what many people have named the best beer in Costa Rica. Its restaurant is known for farm-fresh food and an international menu. Home to a tennis court, swimming pool, jacuzzi, custom skate park and fully-equipped classroom, this is a resort with amenities that appeal to any visitor to the Tilaran area. It is located one and a half hours from the Liberia Airport and three hours from San Jose. Attract friends and guests alike with a wide variety of on-site activities and tours ranging from waterfall hikes, horseback riding, sailing, kite-boarding lessons, river rafting, zip-lining, rappelling and day trips to the Arenal volcano and hot springs. There is ample land for expansion on this 2000 square meter property. Call us today and make this dream land into whatever you want it to be.